Monday from 11:00 to 15:30 pm from Tuesday to Saturday from 11:00 to 17:00 and Sunday from 14:30 to 18:00 hours. This schedule can be seen modified without notice by the celebration of liturgies inside the enclosure. 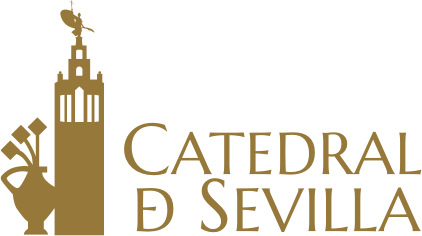 General admission 9 €Reduced admission 4 €Free admission for Natives or residents in the Diocese of Seville, Unemployed, Disabled and Children until 14 years old. – Students between 15 and 25 years of age with international student card or student card in force. Minors between 15 and 17 years old will be able to prove it with their D.N.I or Passport.-. Pensioners; over 65 years old, or pensioners due to illness. The roofs of the cathedral A journey through time, a unique experience to know how the Cathedral was built. 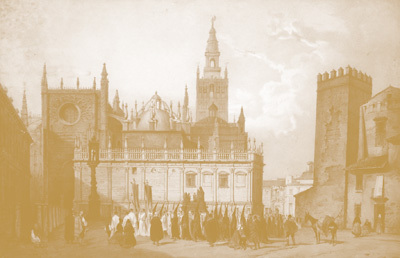 Throughout the tour you will meet a series of characters that participated in theconstruction: the master mason, stonemasons, bricklayers, carpenters, blacksmiths, pot makers, esparto workers, pawns … each collaborating with their work so that the project of the construction of a Gothic and Renaissance cathedral could become real. Get to know the Cathedral from a high point, take a walk on its rooftops, walk through passages, and enjoy the panoramic views offered by the Cathedral’s architecture and its urban surroundings. 11:30 AM – 12:00 PM – 12:30 PM. 04:00 PM – 4:30 PM – 5:00 PM. 03:00 PM – 05:00 PM. 09:30 AM – 10:00 AM – 10:30 AM. 07:00 PM – 07:30 PM. 09:00 AM- 09:30 AM – 10:00 AM – 10:30 AM. These schedules and visiting days may undergo modifications due to the celebration of extraordinary events. The cultural visit of the roofs costs € 15 per person. 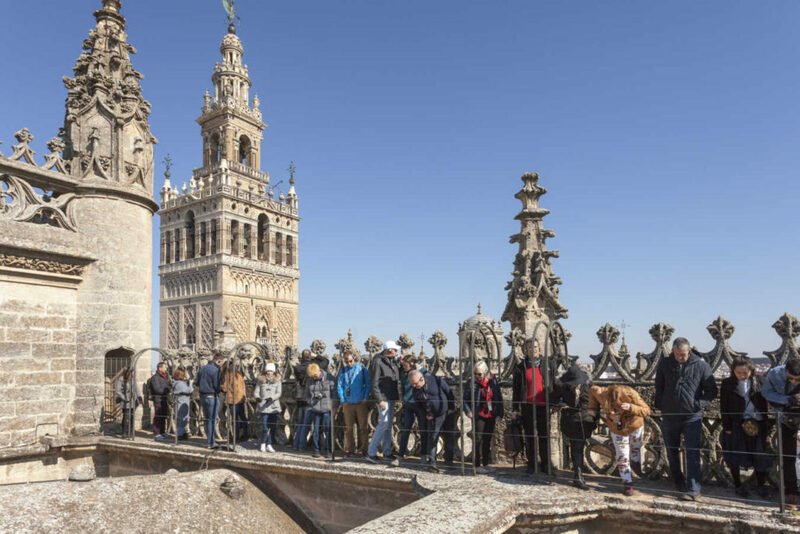 This price includes THE COMBINED VISIT OF THE CATHEDRAL: tour of the roofs, guided by a technician in the interpretation of the heritage that will accompany you throughout the tour, and the free visit of the Cathedral and the Giralda. In the same way it includes, during your visit of the covers, an accident insurance (policy valid exclusively for people under 70 years old). Avoid queues and buy your ticket online or buy your ticket at the ticket office of the Monument. If you wish, you can purchase your advance ticket at an online point of sale located in the store at the individual access (San Cristóbal’s Door). In case of inclement weather the cultural visit will be suspended and you can request a change of date or refund of the amount. Due to the characteristics and difficulty of the tour, and for safety reasons, the visit is limited to people older than 10 years old and who do not suffer cardio respiratory diseases, vertigo or whose mobility is not limited due to age or health reasons (minimum 1 adult for every 2 children under 18 but always over 9 ). If visitors are older than 70, they must sign the document that will be handed in to them, assuming the responsibilities that may arise from any incident during their visit.  The Cabildo of the Cathedral of Seville offers, free of charge, accident insurance for visitors during the tour of the Cathedral’s Roofs (policy valid only for people under 70 years old). You must be present at Puerta de San Miguel, Avenida de la Constitución, 10 minutes before the time indicated on your purchase voucher. You must show this bonus to the accompanying technician and it is recommended to keep it with you for the entire journey. It is suggested to come dressed adequately in comfortable shoes and with protection from the sun in summer. 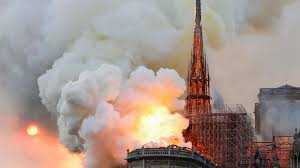 For reasons of conservation of the heritage, the visitor must commit to correct behaviour and respect for the Monument. The integrity of all ornamental and architectural elements will be scrupulously respected. The instructions of the accompanying technician will be followed at all times. The use of cameras for exclusively personal purposes is allowed. For the visitors’ safety and convenience, the use of a tripod is not allowed, except with prior authorization. To guarantee a good quality of the visit, the use of mobile phones is prohibited during the tour. In case of inclement weather that prevents adequate enjoyment during the tour, the visit will be postponed to another date agreed by both parties. In the face of unforeseen circumstances, the Town Council Management always reserves the right to change or cancel the authorization granted. The visiting hours can be modified because of the celebration of some act of worship or cultural activity. For a better organization of your visit we advise you to consult the «Calendar» section. (*) Evacuation of the Temple’s inside will take place 15 minutes before closure. 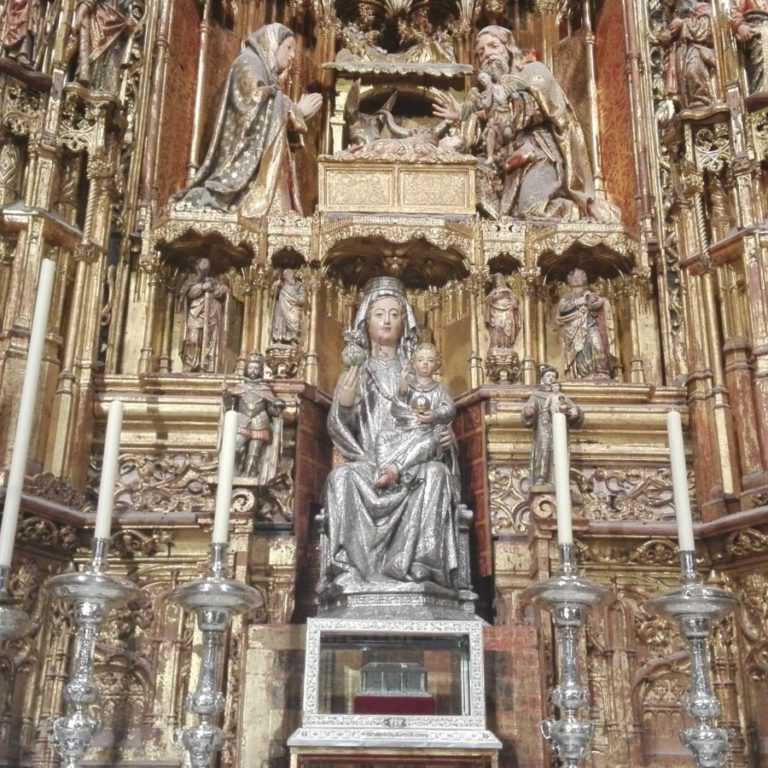 In the Collegiate Church of the Divine Saviour you have the option of acquiring a ticket just to visit this monument, or you have a joint ticket that includes a visit to the Cathedral and to the Giralda as well. 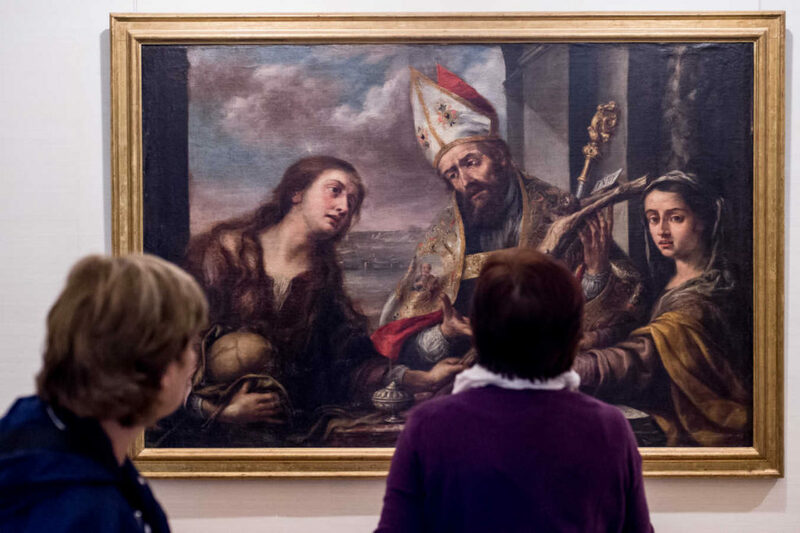 Free Admission*: Natives or residents of the Diocese of Seville / Minors up to 15 years old accompanied by an adult / Disabled individuals with a companion / Unemployed * Accredited by official document. 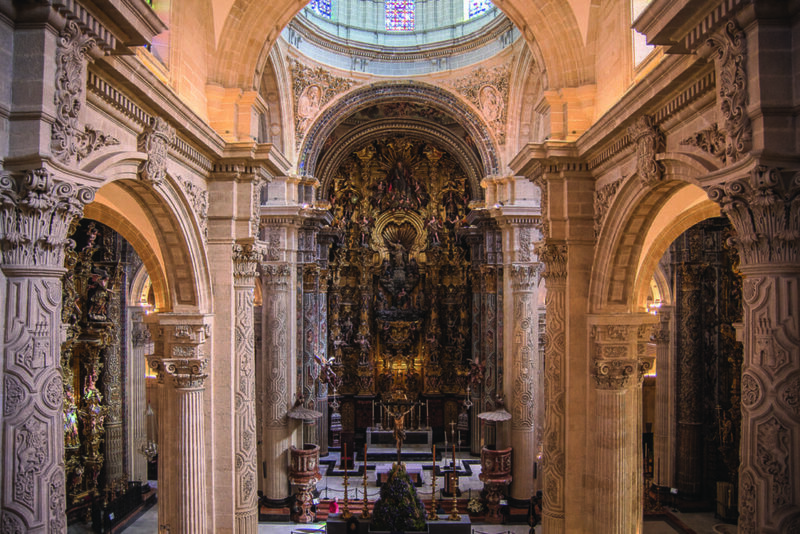 Free admission:* Natives or residents in the Diocese of Seville / Minors up to15 years old accompanied by an adult / Disabled individuals with a companion / Unemployed * Accredited by official document. 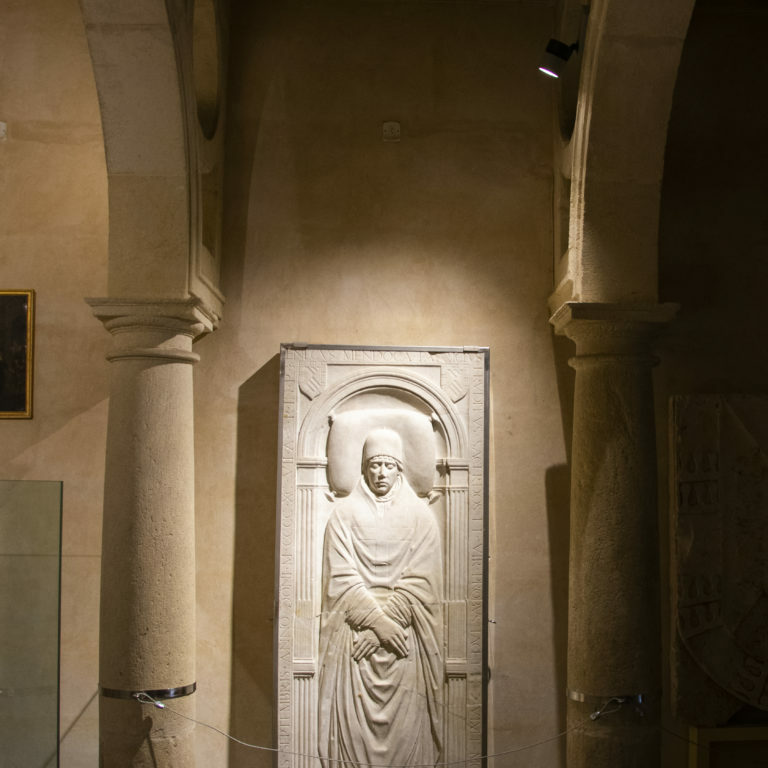 Recommendation: If you acquire the Entry Ticket for the joint visit, you will not have to wait in queue at the entrance of the cultural visit to the Cathedral, since the access is direct, provided the corresponding ticket is shown at the access control. 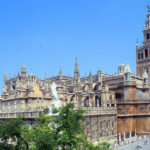 Because of this, it is our recommendation that you start your cultural visit at the Collegiate Church, and then go to the Cathedral and the Giralda.